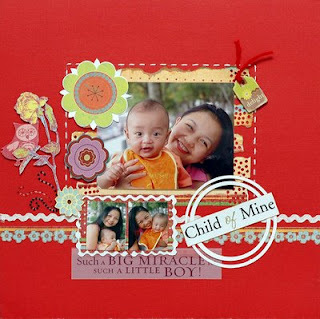 It's Scrap lift challenge at http://alwaysforever.ning.com July 10-24... It would be LG's Lo. So come down on Memories Are Forever and join in the fun. Have red somewhere on the page. Here's my take on her beautiful lo. I hope I did justice on lifting it.